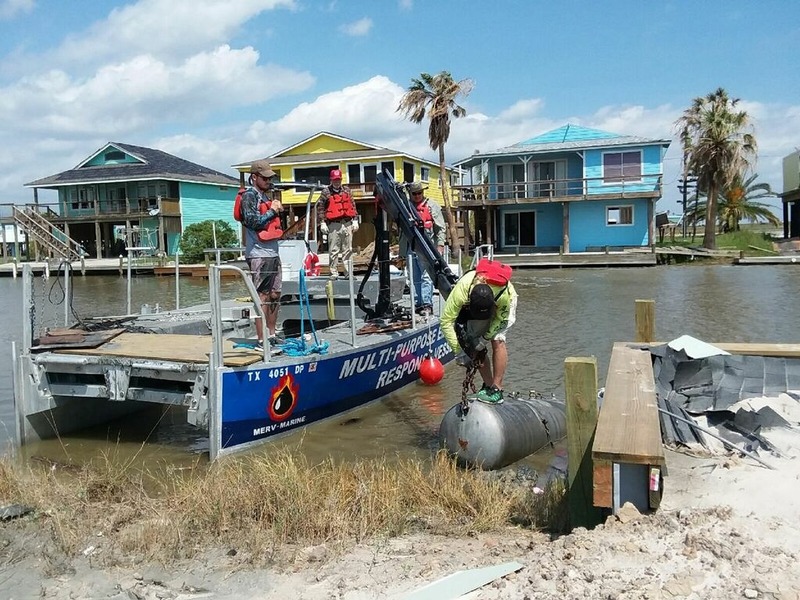 As recovery efforts continue for a large portion of Southeast Texas following Hurricane Harvey, Tony Wood and a team from Texas A&M Corpus Christi use MERV to help. An unusually large amount of debris is unable to be recovered and disposed of by human effort alone, so the MERV, with its powerful platform and crane, is taking on the task. Butane tanks, boat trailers, large trees…these are some of the things being pulled out of the water by MERV. The work being performed truly continues the ongoing mission of MERV to aide in Life, Safety, Humanitarian and Environmental Response.